I came to Liz after experiencing life threatening spinal injury for which I needed invasive surgery. With her help, I have been able to rebuild strength, mobility, stamina, and most importantly, the self-confidence needed to return to an active, healthy lifestyle. Liz is a consummate professional who has as much knowledge, skills and experience as she does kindness, warmth and understanding. Her sharp attention to form and detail, in addition to her use of training informed by current research, has helped establish and sustain my trust in her. My husband got me sessions with Liz as a gift when (after having my second baby a few months prior) I confessed that I did not recognize my body and I did not feel confident that I could dive back into my old workout routine. With two little ones and a job, I had less time and a few chronic injuries that I was afraid of exacerbating since motherhood is physical work. I felt helpless and uncomfortable in my body. 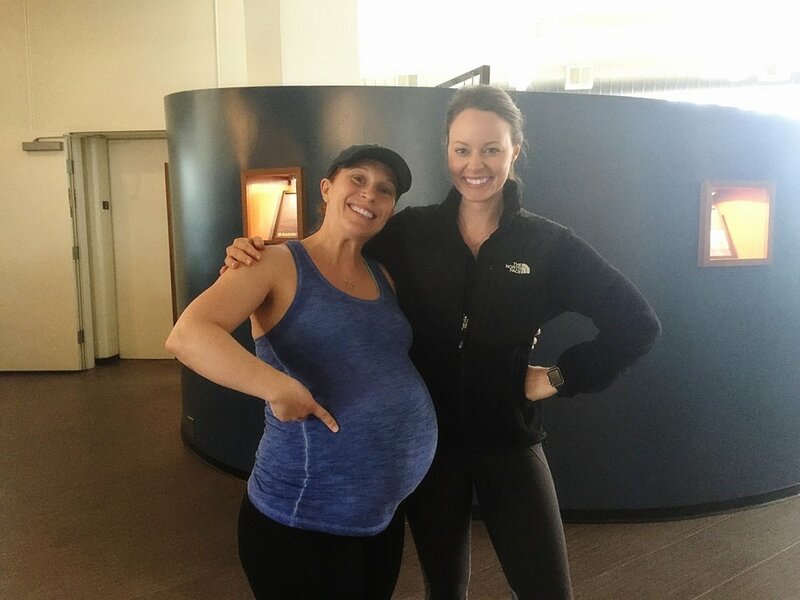 Liz helped me find workouts that fit into my life, that worked around my injuries, and that ultimately helped me fit back into my pre-pregnancy jeans. I'm back to working out for FUN! Part personal trainer, part physical therapist, part psychologist, she pushed me to move correctly while helping me tune out the negative self-talk that served no one. Before Liz, I was stuck. I didn't believe I had time or money to invest on this, and I was afraid I would end up back on the bench if I went it alone and hurt myself. I spent less time working out after she helped me focus my workouts, and we put together a 4-6 month plan that I could afford. She still designs programs for me, and we have occasional "tune up" sessions, but I'm empowered to live a fit and active lifestyle. I feel like I have my life back. Thanks, Liz! With no athletic or team sport background whatsoever, I started my fitness journey in my 20s did what most newbies do — just took up running and started going to classes on ClassPass! I was excited about getting healthy but completely lost, had no context when it came to physical health and fitness, and was eager to learn as much as possible. I craved guidance and needed serious one-on-one attention. The moment I met Liz, it was love at first sight — or squat, I should say. From our first assessment, I knew I had found the most educated, compassionate, methodical, intelligent, intuitive, and badass trainer who not only could train my body, but train my mind as well. Liz’s passion for educating her clients was what captivated me most; with Liz, I not only have a trainer, but a teacher. She’s helped me get into the best physical shape of my life, but what’s even more empowering is that I now have a knowledge of my body that transcends any kind of training or weight loss program — I can carry this education with me forever. But lest I forget the physical results! Yes, I can see my abs without flexing (whoaaa! ), and my glutes have gained a favorable TWO inches, but I also can move in ways I never could before. I can do a proper push-up (and I know which muscles to use!). I can get up from a chair or from bed with just one leg, and I’m as stable as if I were using both. My runner’s knee is gone, and my posture is improved. My knees no longer knock together when I jump, and my squat form is better than ever. After only a few months with this miracle worker, my body has gained strength, my health has improved, and I’ve reaped some aesthetic benefits as well. What’s special about Liz in particular though, is that she can adapt to exactly what you need. She intuitively can sense when I’m ready for an extra challenging session with battle ropes or a kettlebell, or if I’m in need of a restorative mobility session with a ball and a foam roller. She pushes me just the right amount, helps me become stronger physically and mentally, and above all looks out for my health with the utmost compassion. I’ve felt nothing but supported and empowered in each session. And to boot, she’s got a hilarious sense of humor and I think that I’ve laughed throughout each and every session. 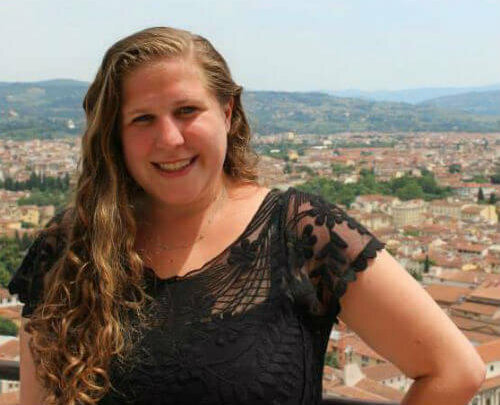 I came to Liz as a life-long athlete experiencing a seemingly endless string of injuries. I am amazed at how much she has been able to help get me back on track with her depth of knowledge and holistic approach to fitness. Together, we have worked hard to address and improve decade-old muscle imbalances and use patterns. Thanks to Liz, I not only feel stronger, but I also have become much smarter as an athlete. I was initially drawn to Liz because of her knowledge beyond just fitness. Her expertise in sports medicine and injury prevention resonated with my own experience having had two knee injuries in college. My impetus for finding a personal trainer was to get into "wedding shape," but Liz did much more than that. Not only did she help me lose weight, tone up, and guide me when I was confronted with my third knee surgery just a month prior to the wedding day (not to mention the house visits she made while I was on crutches, the home circuits she sent that kept me in shape without hurting my knee, and the frequent check-in texts), but she also helped me regain a sense of self. I am a life-long athlete, a former NCAA Division I athlete and a current triathlete, 5-time Ironman. I recently moved back home to San Francisco, and was searching for a training facility and a coach/trainer, one with exercise science or exercise physiology credentials. Liz's current doctoral work in kinesiology was highly attractive to me. I wanted to maximize sport specific movement efficiency and strength. I was seeking more than just a standard, cookie cutter workout routine. I wanted a specialized, individualized approach, a program to make me stronger in swimming, cycling and running, while working through some imbalances in my kinetic chain. Liz is smart, thoughtful, and flexible. She is willing to change course, adapting, during a workout, on the fly, based on performance, in the moment. I am now stronger, even shocking myself just yesterday, while Liz was pushing me, with the amount of weight I lifted on the cross cable machine. As further testimony, to her training approach, I had two swim personal records (PRs) this year in two Ironman 70.3 events. Racing is an expression of the training process, and with Liz, the experience has been positive, with positive results. Not only is Liz an amazing personal trainer, she's an incredible person!! She got me in tip top shape before and during my pregnancy and I attribute my easy labor to the time and effort she took to get me into the greatest shape of my life. I would very highly recommend Liz to anyone! Liz is incredible! I saw her magic when she started working with my sister in law and I quickly jumped on board. Liz is thoughtful and thorough with your needs and goals. She was able to not only whip me into shape in the very short time (dropped 7% body fat in a few months) but she also inspired me to change my diet in an easy and delicious way. Liz is encouraging and creative in her workouts and she'll push you to exactly where you need it. If you're looking to either change your life nutritionally, improve your workouts or completely start you from zero, Liz is the trainer for you. I've been working with Liz for nearly a year now. And she has helped me through a couple different phases in my life. When we first met, she coached me with a custom program to my lowest body fat % (which was the goal). I never felt so healthy - and was ready for a tri I planned to compete in. Then the gears shifted when I became pregnant. Liz coached me through the entire pregnancy - and I can honestly say it's because of her that I've had a relatively easy time of it. Staying fit while pregnant is very important, but you need to be careful. Liz knew just what to do. She has both the medical & fitness knowledge to keep me & baby safe and in shape. That knowledge applies to everything - whether you are recovering from an injury, have imbalances in your body, or have aches/pains and don't know why. I plan to continue working with Liz as I enter mommy-hood, and would highly recommend her to anyone. Her custom programs are top notch and her workouts are always fun/interesting. Even after a year, I look forward to seeing her every week. Liz is amazing. She's finds the perfect balance between being tough and being sympathetic. She has taught me the value of type two fun -- not necessarily fun during a workout, but definitely a fun and accomplished feeling afterwards. After every workout, I definitely feel like I did good for my body. She's also able to come up with workouts that strengthen muscles that need strengthening, and avoid injuries. I have a shoulder that dislocates occasionally, and we were able to strengthen the muscles around it, so that it happens significantly less frequently. Also, when I broke my elbow, Liz was still able to come up with great leg and ab workouts while it was healing, and then strengthening exercises when I was able to use it again. If you're looking for an awesome personal trainer, look no further!